Do you like science-fiction adventure ? Here it is which includes something for everyone. High paced, high tech story with an unbelievable ending that shows the power of the human spirit. Note: DNA for DeoxyriboNucleic Acid. It is the carrier molecule of hereditary genetic information. In a medical facility situated in Ecstasy City on Omnix planet, two young adults were lying in their beds. A female and a male, smiling at each other. – I am so glad that we made it together. – But where are we? In a central room in the main government dome, six scientists, wearing protective gear, were looking over a man lying in a crystal capsule. They had received their last briefing before leaving on a mission. They were assigned to retrieve specific biological cells that would give immortality to a civilization plagued by a disease for which there was no cure. This precious biological material had gone almost undetected until the equipment of their surveillance space drones, exploring and overseeing the universe’s sky, detected a positive reading. The drone’s signals pinpointed one planet in their neighbouring galaxy –the Milky Way. The location of this planet in a galaxy that measured several thousand light-years across and contained billions of stars was a miracle. The planet‘s components analysis displayed from these drones and sent back to their base, gave the scientists a positive (+). What they were looking for was living there. As the positive signals were entering their reception systems, several lights started flashing all around their labs revealing the find. 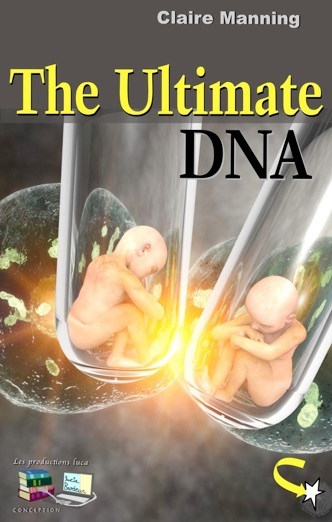 There were no doubts in anyone’s mind that the positive detection of the miracle cells, matched that which the drones were programmed to locate. They had at last made a breakthrough! Having successfully detected it on this planet named Earth, the priceless find had to be carefully retrieved and brought back. They needed to bring it free from contamination, to then be able to duplicate it zillions of times to repair the up to now irreparable. Their destiny had a chance to change its course for the better.